Belgium celebrated National Day last week. There were hats! There were sleeves! There was some seriously vibrant color coordinating! Oh yes, those royal interpretations of the giant sleeve trend aren't going anywhere anytime soon. 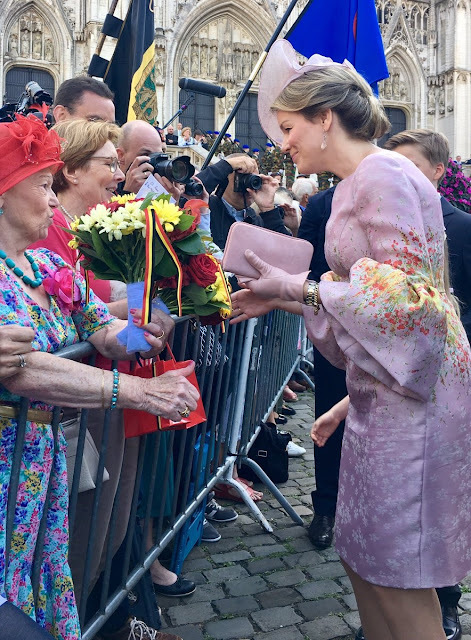 I'd deflate 'em a solid 20%, but they are doing an admirable job of bringing a little bit of trendiness to what is otherwise a firmly standard, non-trendy Queen Mathilde outfit. 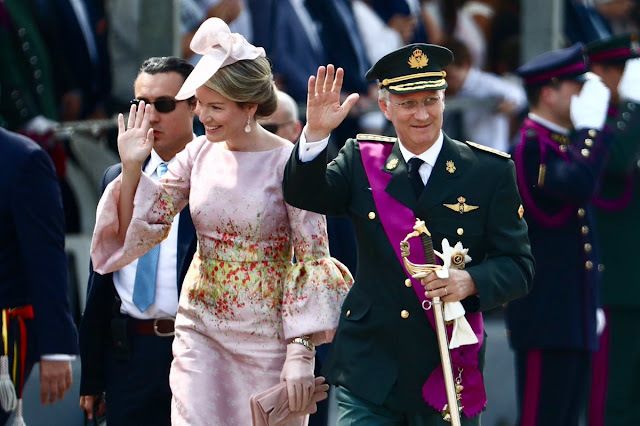 Somewhere out there, Queen Máxima is leaning back with a smile on her face. And then she's dialing her Natan hotline and ordering up one of these for herself. With even bigger sleeves, I'm sure. You know you're serious about the family color thing when the extended fam fits right in. In a year surprisingly lacking in hat interest, I find myself totally in love with Princess Claire's offering. Upside down salad bowls have never looked so good.